Well hello there ---- Happy Thursday all. 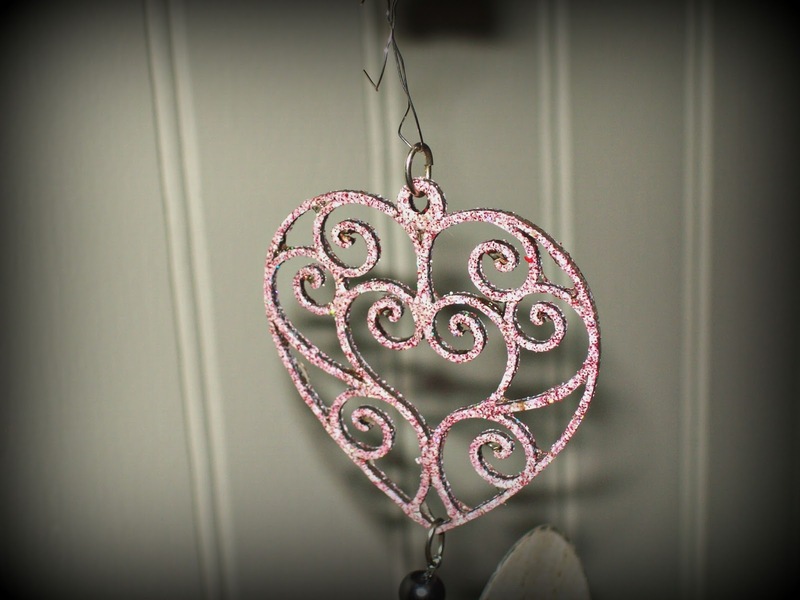 Teresa here with a little bit of sweet love ornament just in time for Valentines' Day. My taste runs a bit toward the more shabby toned colors so the ornament features some of that. So - let's go shopping. Globecraft and Piccolo products used. - a good glear gel glue. - a heart stamp of your choice. 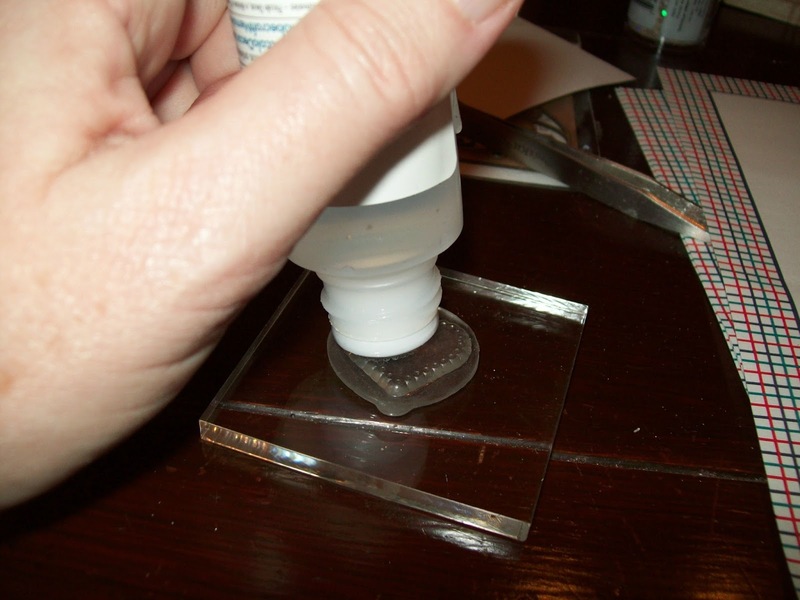 First - you can use the enamel adhesive just like a stamp ink on your stamp. Then stamp your paper hearts. I used assorted colors of the enamel powders. On the heart above, I stamped the two Mardi Gras embossed hearts and heat set them. 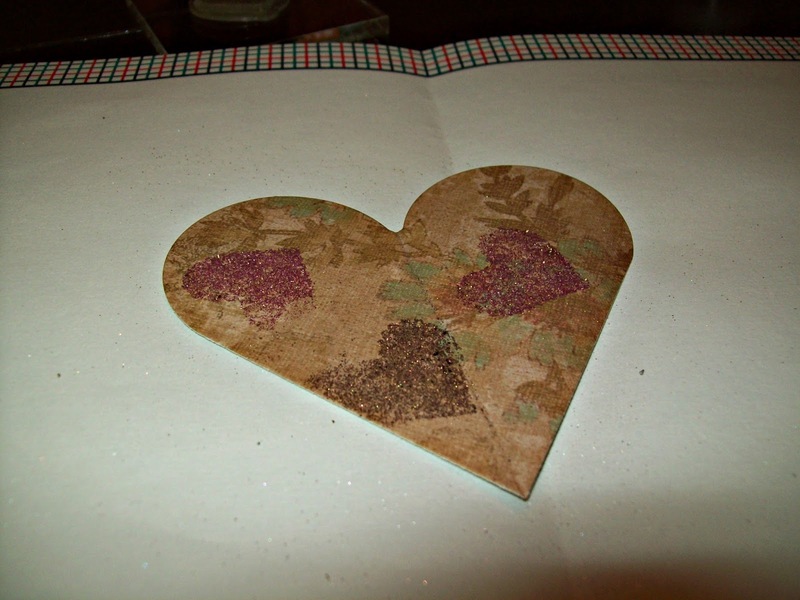 Then came back and stamped the Vintage Bronze heart and embossed it. TIP ---- These are NOT fine detail powders. 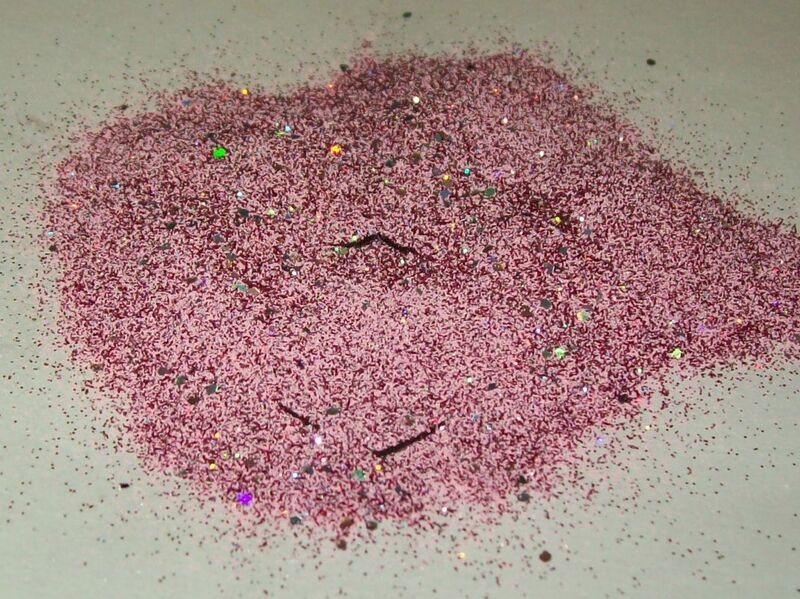 There are assorted particle sizes in each jar. I poured out some of the powder on the hearts and dumped the excess off for this part. That leaves mostly smaller bits on the paper to emboss. Cover all three heart shapes as desired. Also notice that I have pre-scored a fold line down the center of the heart. 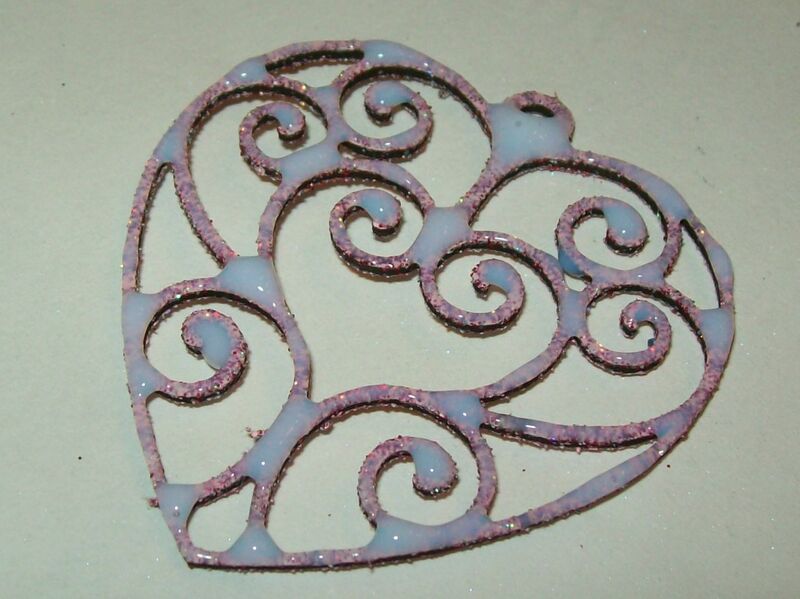 I covered both sides of the Delicate Heart Charm with the Cranberry Wine powder. Go ahead - click on that picture and just look at the sparkly bits in there. I used the Gloss Glastique to protect and strengthen the shape. Cover one side and let it completely dry. then cover the other side as well. Emboss the key charm with the vintage black powder and cover with the Glastique as well. Now for assembly. 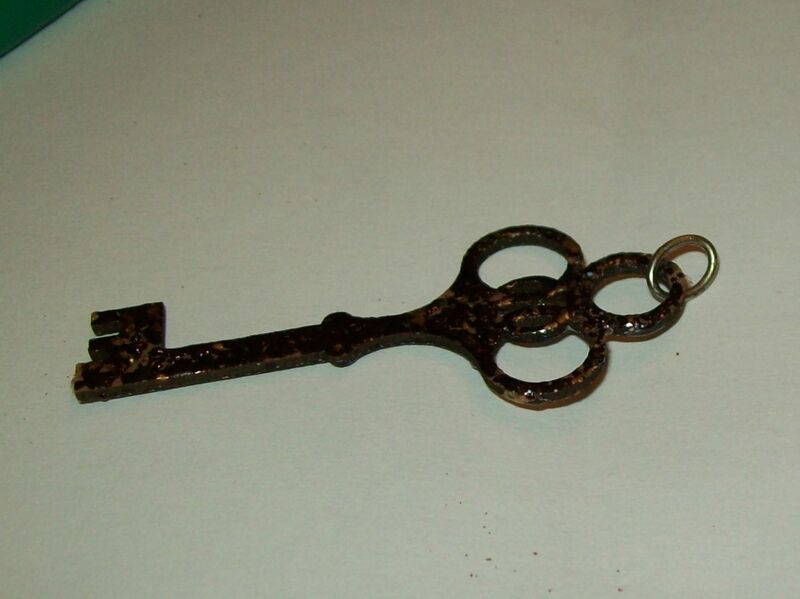 Add a jump ring to the key. And tie on a very fine gauge wire. Add beads to the wire. Fold the three heart shapes in half and glue halves of one pair together. leave the other side unglued. Add the third heart in the same way. But glue the two pieces together. Now add a few more beads and jump ring to the bottom of the heart charm. Tie off your wire to that jump ring. The heart hanger is great. I love the vintage look. What a lovely valentine ornament. Great hanging Valentine. Love the key ornament. 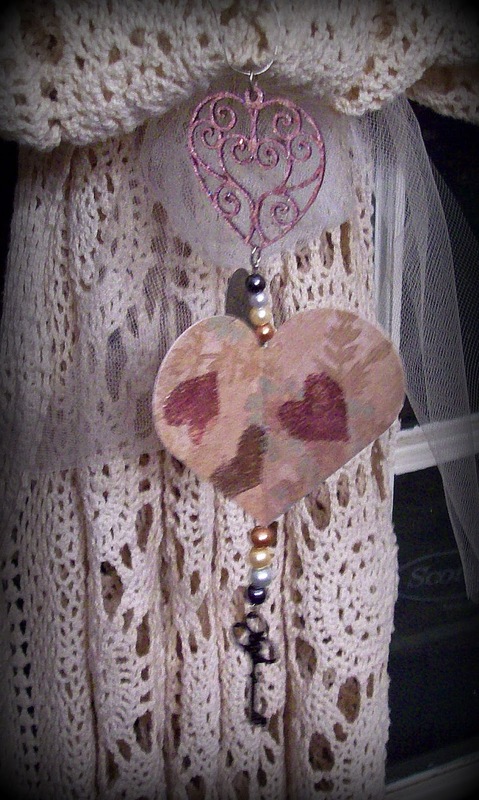 Awesome design, love how you used the enamels on the paper heart and the shabby chic look of the ornament. 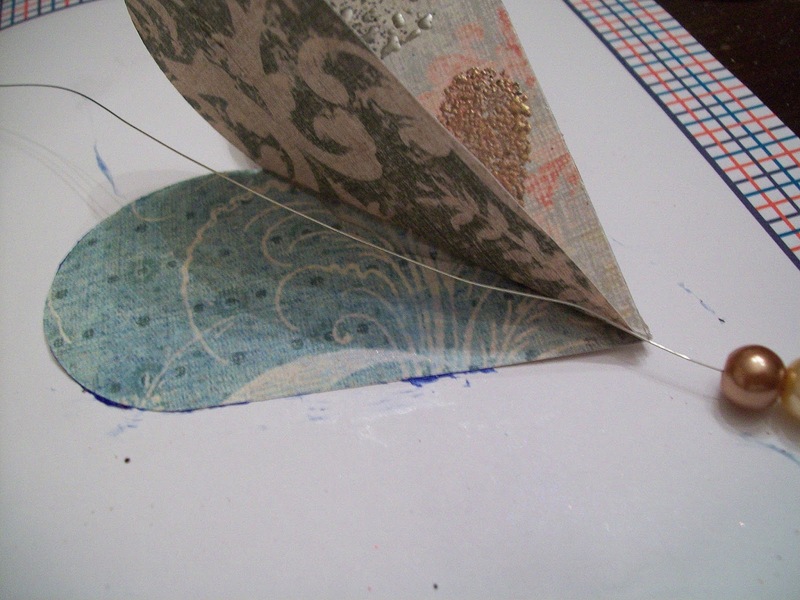 What a lovely vintage project, Teresa, love the soft muted look of the embossing enamels.